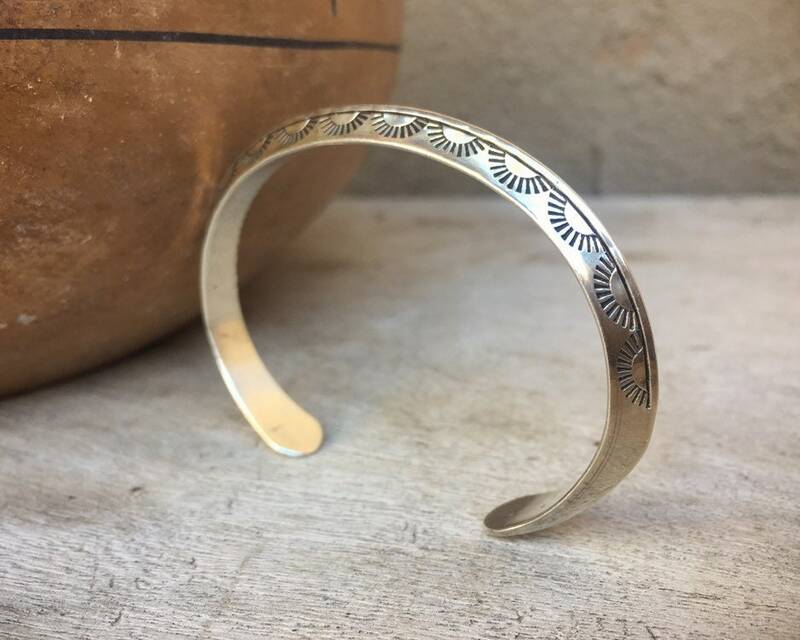 This narrow sterling silver cuff bracelet is simple and striking with a "carinated" ridged form and different geometric designs on each of the sloping sides. 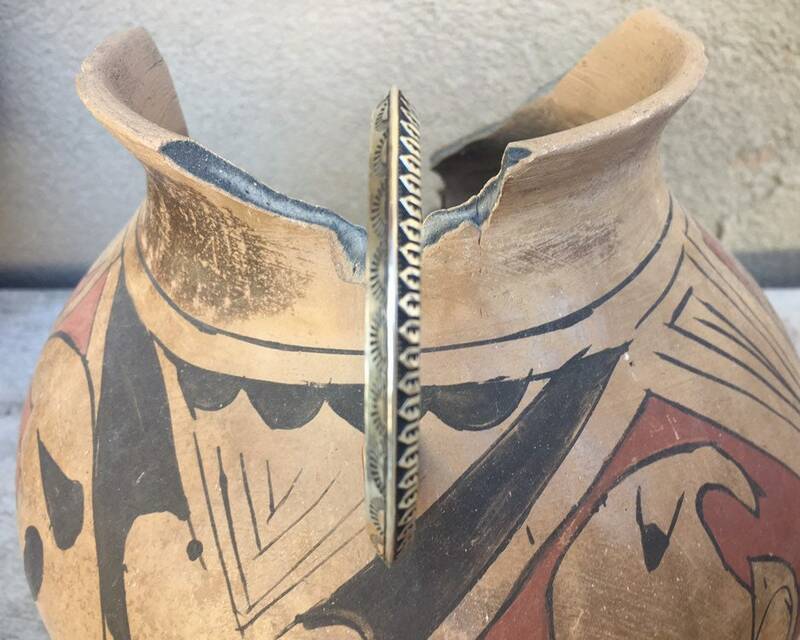 It is the hallmark design of Navajo silversmith Randy Secatero, who has been making bracelets in this style for decades. 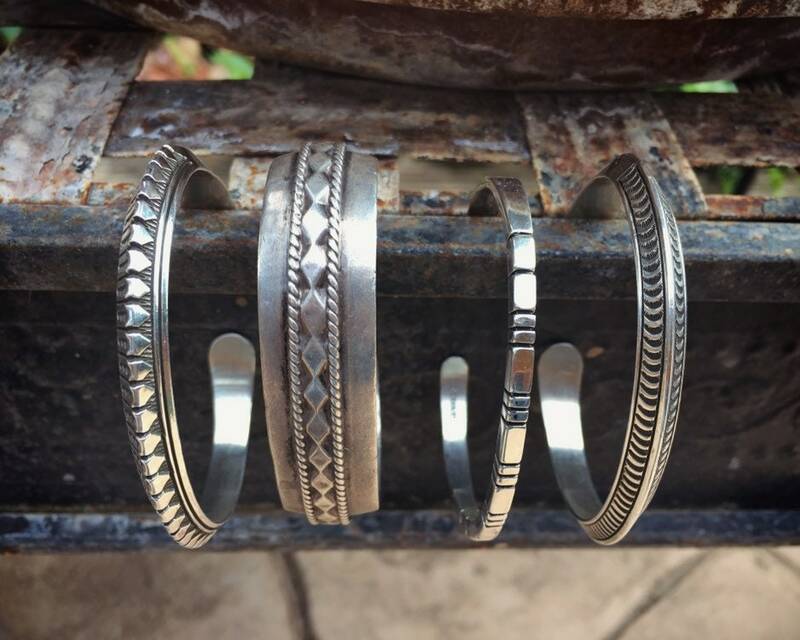 The bracelet style is perfect for stacking with other bracelets, such as the all silver stack shown in Photo 4, or worn alone. 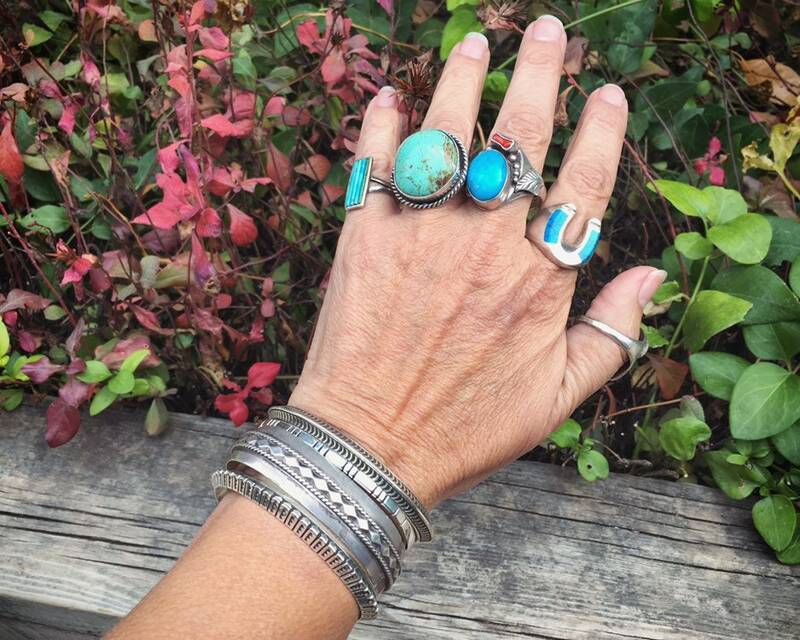 Although this size might not be large enough for most men, this style is unisex and made for either men or women. 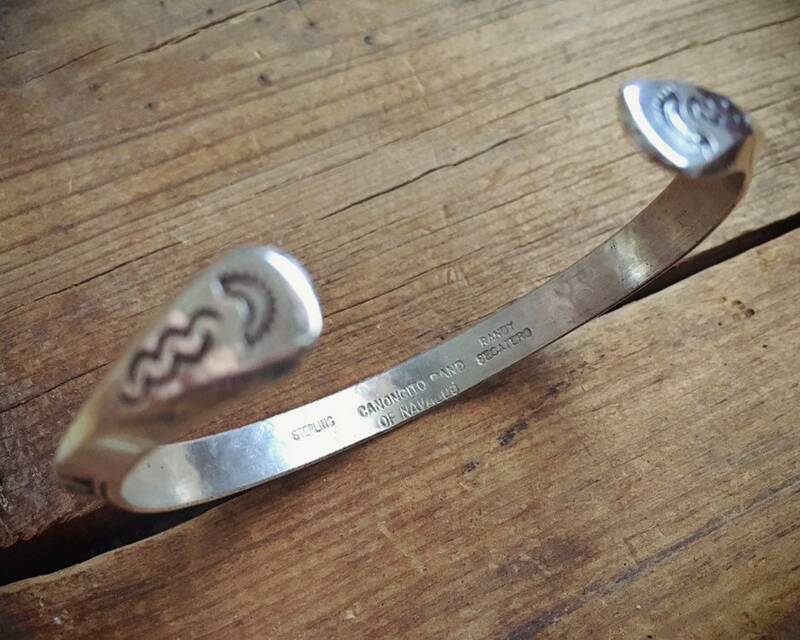 Carries the artist's hallmark and a STERLING stamp. 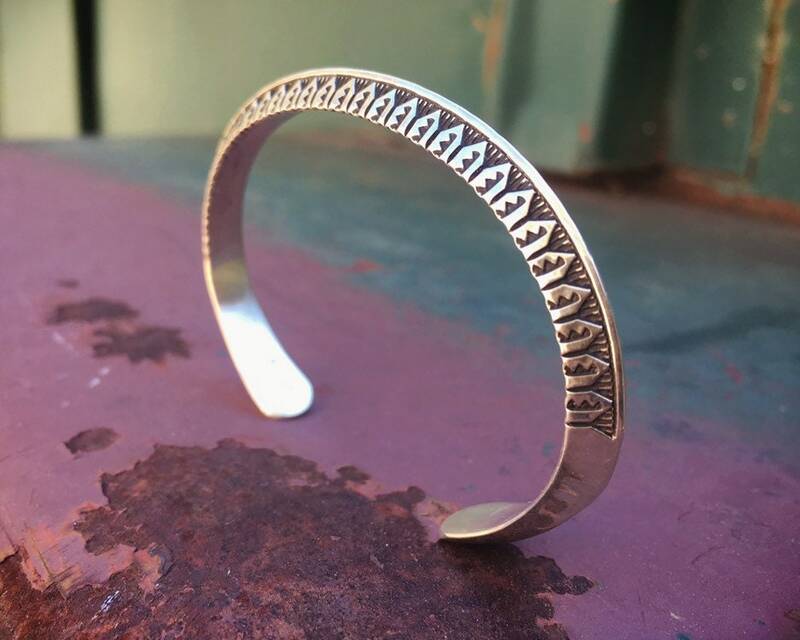 The bracelet measures about 1/4" wide. Measuring end to end with a soft tape measure on the inside, it is about 5-3/8" long with a 1" gap, for a total interior length of 6-3/8". 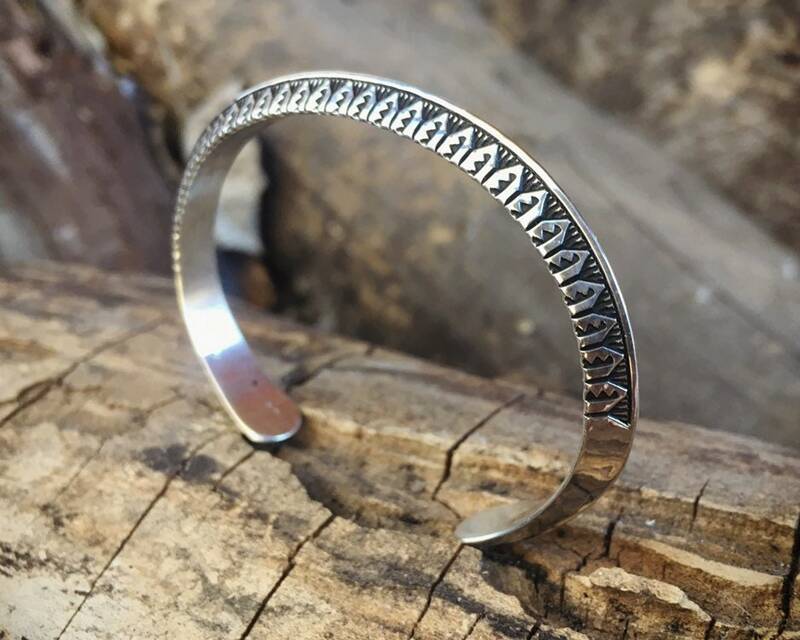 Because of that silver ridge, these bracelets look good when that top is polished so that it stands out. In good condition. 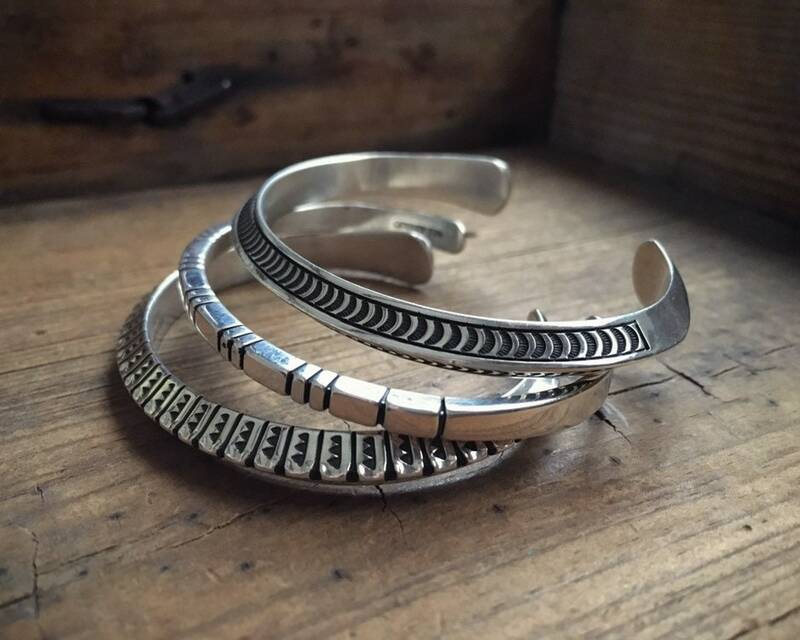 Gorgeous stacking cuff by highly collectible artisan. 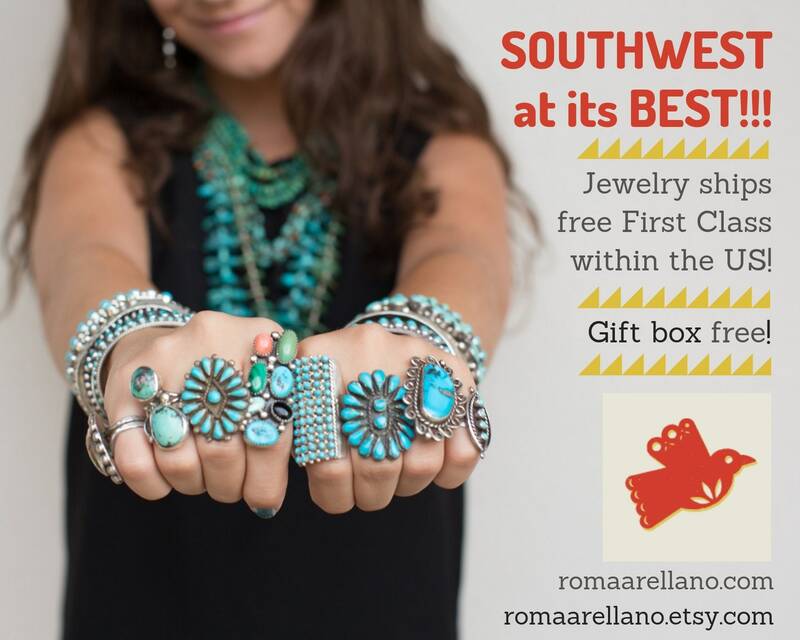 This bracelet is small but mighty! 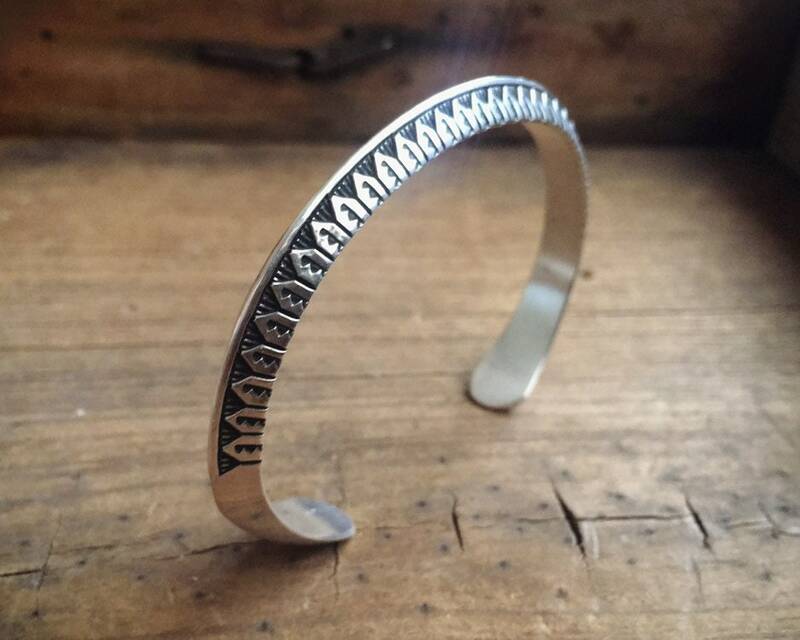 The silver work is stunning, especially given that the bracelet is only 1/4" thick. Looks amazing stacked. Always pleased with my purchases from this shop.